Lucy and her friend Carol Krausmeyer decide to enter the local office "Secretary Beautiful Contest", causing a rivalry between them. Plenty of "friendly" competition for the title as the two of them vie for the title and the attention of the judge. They both make fools of themselves at the contest trying to prove which woman is better. Lucy performs on her Saxophone in her usual classic style. In the end Lucy and Carol are runners up. Special Notes: Every episode that features Carol Burnett have the same title, so to differentiate them, alternative titles are actually used to refer to them when they are filmed. This episode is also known as "Secretary Beautiful". 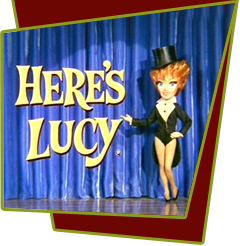 Krausmeyer, the last name of Carol Burnett's character, is the same last name as the music teacher on Lucy's radio show "My Favorite Husband". Bloopers: In one scene it appears that the camera angle is too much to the front as we can see where the Unique Employment Agency carpet ends and becomes soundstage floor.